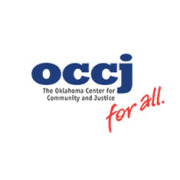 The Oklahoma Center for Community and Justice (OCCJ) is the only organization in Oklahoma with the singular mission of fighting bias, bigotry and racism and promoting respect and understanding among all races, religions and cultures through advocacy, conflict resolution and education. Founded as a volunteer movement in Tulsa in early 1934 as a chapter of the National Conference of Christians and Jews, OCCJ has a proud legacy deeply rooted in the community. NCCJ was formally established in 1958 and, through our 54-year history in Oklahoma, has been an innovative leader in promoting understanding and mutual respect among all races, religions and cultures through advocacy, conflict resolution and education. Our programs reach a broad range of ages, from second graders through adults, and are focused on recognizing and celebrating both our differences and our shared humanity. Our programs are a strong thread in the fabric of Oklahoma, weaving through the decades, touching and changing thousands of lives, making Oklahoma, the nation and the world a better place. With the support of key business, community, education and religious leaders, OCCJ became independent of the national organization in 2005. OCCJ is now better prepared and equipped to define and address issues in which Oklahomans want to be involved. Would you recommend Oklahoma Center for Community and Justice?